Cuttlefish are marine animals of the order Sepiida. They belong to the class Cephalopoda, which also includes squid, octopuses, and nautiluses. 'Cuttle' is a reference to their unique internal shell, the cuttlebone; and despite their name, cuttlefish are true mollusks. They generally range in size from 15 to 25 cm (5.9 to 9.8 in), with the largest species, Sepia apama, reaching 50 cm (20 in) in mantle length and over 10.5 kg (23 lb) in weight. Camouflage is the use of any combination of materials, coloration or illumination for concealment, either by making animals or objects hard to see (crypsis), or by disguising them as something else (mimesis). Examples include the leopard's spotted coat, the battledress of a modern soldier, and the leaf-mimic katydid's wings. The majority of camouflage methods aim for crypsis, often through a general resemblance to the background, high contrast disruptive coloration, eliminating shadow, and countershading. In the open ocean, where there is no background, the principal methods of camouflage are transparency, silvering, and countershading, while the ability to produce light is among other things used for counter-illumination on the undersides of cephalopods such as squid. Some animals, such as chameleons and octopuses, are capable of actively changing their skin pattern and colours; they often use this ability both for camouflage and for signalling. Military camouflage was spurred by the increasing range and accuracy of firearms in the 19th century. In particular the replacement of the inaccurate musket with the rifle made personal concealment in battle a survival skill. In the 20th century, military camouflage developed rapidly, especially during the First World War. On land, artists such as André Mare designed camouflage schemes and observation posts disguised as trees. At sea, warships and troop carriers were painted in dazzle patterns that were highly visible, but designed to confuse enemy gunners as to the target's speed, range, and heading. During and after the Second World War, a variety of camouflage schemes were used for aircraft and for ground vehicles in different theatres of war. The use of radar in the Cold War period has largely made camouflage for fixed-wing military aircraft obsolete. Roger Hanlon was following this octopus underwater and couldn't believe his eyes. Non-military use of camouflage includes making cell telephone towers less obtrusive and helping hunters to approach wary game animals. Patterns derived from military camouflage are frequently used in fashion clothing, exploiting their strong designs and sometimes their symbolism. Camouflage themes recur in modern art, and both figuratively and literally in science fiction and works of literature. Everything is going geospatial - Amazon, Google, Facebook, Pinterest. 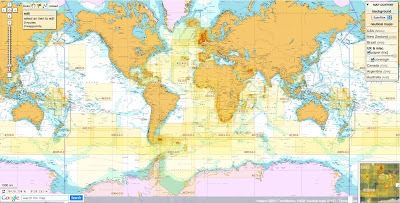 Geospatial is defined as relating to data that is associated with a particular location. In security terms, that means WHAT happened and WHERE did it happen. 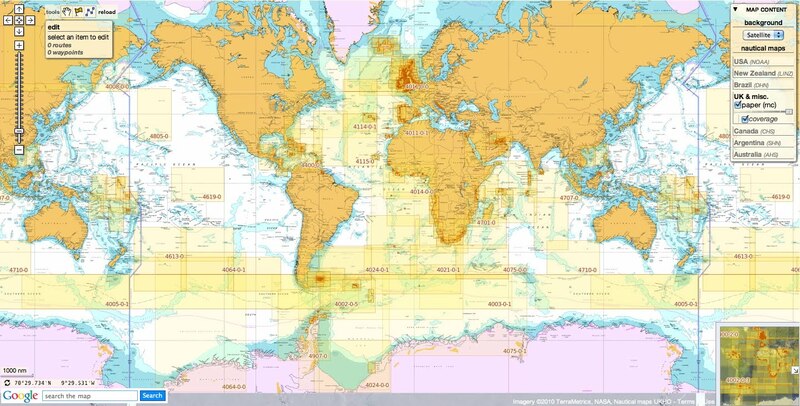 So how does a geospatial surveillance system provide value to a seaport? One of the biggest advantages of a geospatial system is it provides a high level of situational awareness. Geospatial systems allow for a map-based representation of security sensors. A user can view the GUI and quickly gain an understanding of the current state of events on one interface. This includes the ability to dynamically show an intrusion event including the target location and the associated track. A geospatial system also provides for user interaction through this same interface. This means sensors can be queried and controlled by interaction with a map based display. Sensors that can be used to interrogate or react the event, such as fixed cameras, PTZ cameras, acoustic devices, spotlights can be controlled from the GUI, using the animated intrusion track as means to direct the sensors to the exact location. 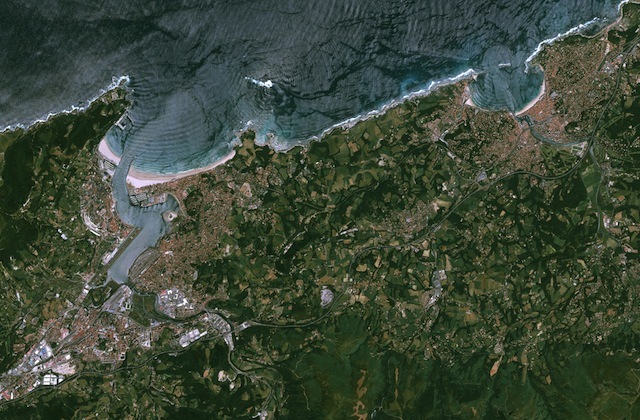 Geospatial sensors form the backbone of these systems and include radars, GPS and smart phones. These sensors provide a large amount of data including time based location, speed and even acceleration. There are, however, other sensors that can be enabled to be geospatial. Fence intrusion systems can provide linear location along the fence line and cameras can be made into “visual-radars” through a pixel-to-terrain mapping process called “geo-referencing." PTZ cameras, laser illuminator, spotlights, range finders and acoustic devices, can also be enabled to be geospatial, allowing them to be monitored and controlled using latitude and longitude information. 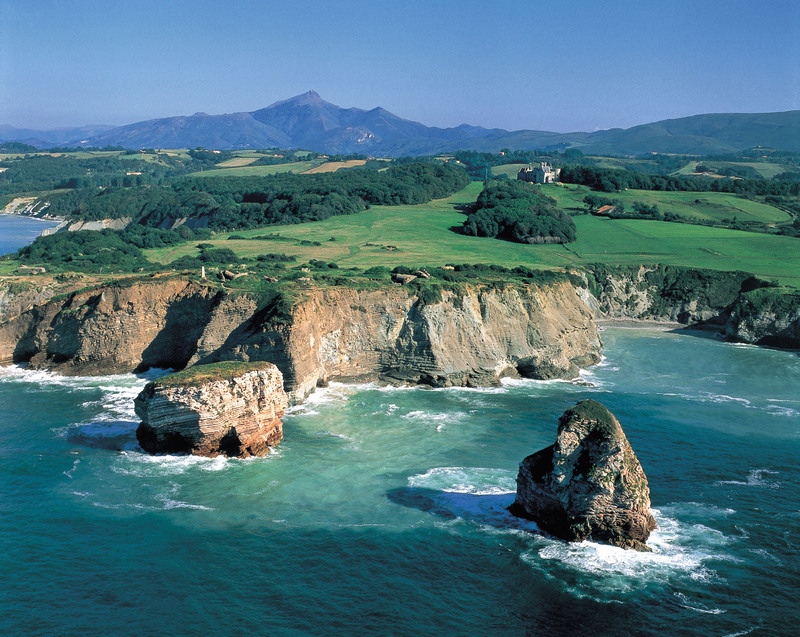 Another advantage of a geospatial surveillance system is the ease that sensors can share and collaborate information. Geospatial sensors share a common operating picture, mainly a physical coordinate system. This means they can effectively communicate with each other using a common geospatial command set. Finally, a geospatial system provides enhanced forensic value. The ability to assign locations to events carries over into alarm searches and forensic efforts. Each alarm contains location information so events may be investigated and reviewed based on a region or location, versus trying to identify specific sensors that were involved. This can be extremely helpful when investigating specific incidents or looking at trends. 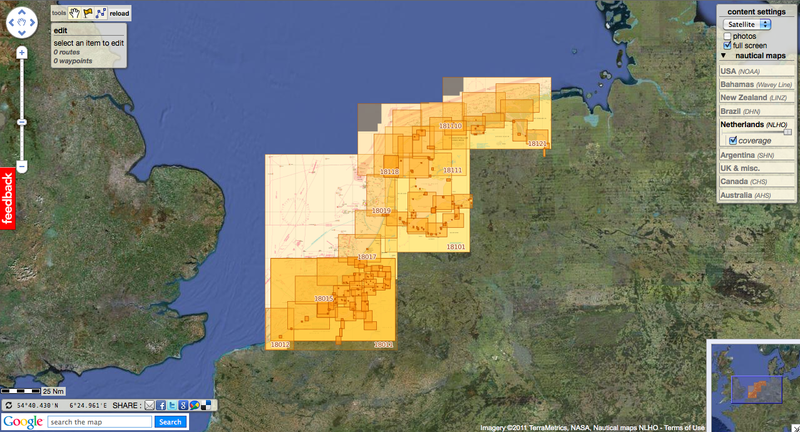 Geospatial surveillance systems also have the ability to perform a full map based, scenario replay; essentially replaying everything that that operator was seeing on the screen, including alarms, sensor positions and map locations. At any point the reviewer can drill down to get the detailed data associated with the event or sensor. 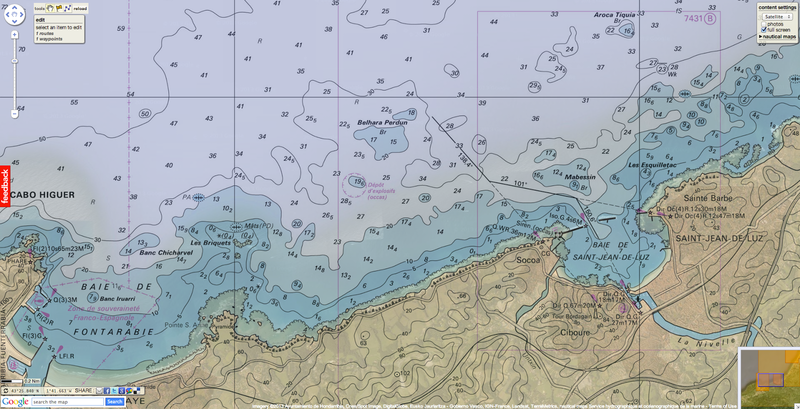 Geospatial is here to stay and the complexity of the seaport environment makes the use of these systems something to be strongly considered to effectively address many of the related security needs. 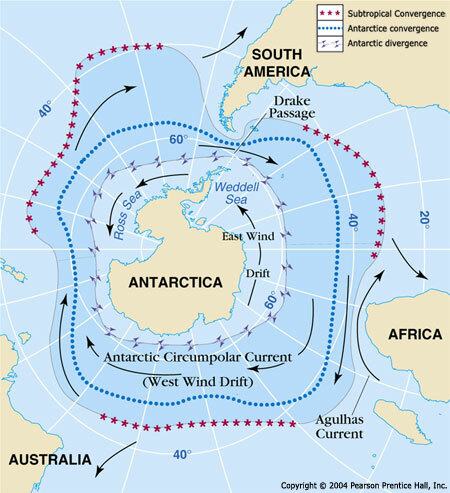 They said that the unprecedented salvage effort "reached degree zero [vertical], which was our target". In the operation that took all of Monday and most of the night, they used cables and metal boxes filled with water to roll the ship onto a platform. The bodies of two of the victims of the disaster, by the island of Giglio, have never been found. There are hopes that they may be located during the operation. The ship was declared completely upright shortly after 04:00 local time (02:00 GMT) on Tuesday. 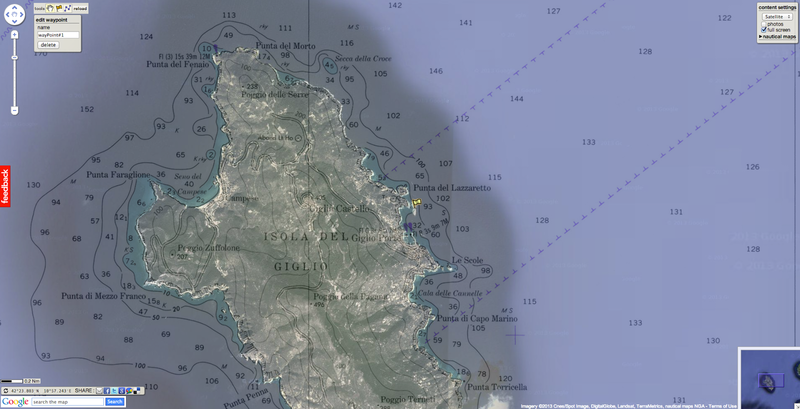 Franco Gabrielli, the head of Italy's Civil Protection Authority, said the vessel was now sitting on a platform built on the sea bed. "A perfect operation, I must say," said Franco Porcellacchia, leader of the technical team for Costa Cruise, the owner of the ship. He added that no environmental spill was detected so far. "I think the whole team is proud of what they achieved because a lot of people didn't think it could be done," said salvage master Nick Sloane - but he added "it's not over yet". When the vessel was finally righted in the early hours of Tuesday morning, there was a giant cheer from people gathered at Giglio harbour, says the BBC's Matthew Price, and rescue workers have been out celebrating with coffees. As daylight broke, the now-upright, brown hulk of the ship was visible - its hull muddy and crushed from 20 months spent submerged on its side. Booms and nets were put in place before the operation started - to combat any pollution threat in what is a marine national park. The 114,000-gross tonnage ship - twice as heavy as the Titanic - was on Monday raised from rocks on which it had been lying and roll up onto her keel. More than 50 enormous chains and winches were used to break the ship away from the reef - the process known as parbuckling. During the marathon operation, the ship could be seen slowly emerging from the water. The engineers had originally planned to complete the operation by Monday evening, but it had to be delayed by three hours because of a storm. The procedure was carried out very slowly to prevent further damage to the hull, which spent months partially submerged in 15m (50ft) of water and fully exposed to the elements. Engineers have never tried to lift such a huge ship - over 951 feet long (290m) - before. 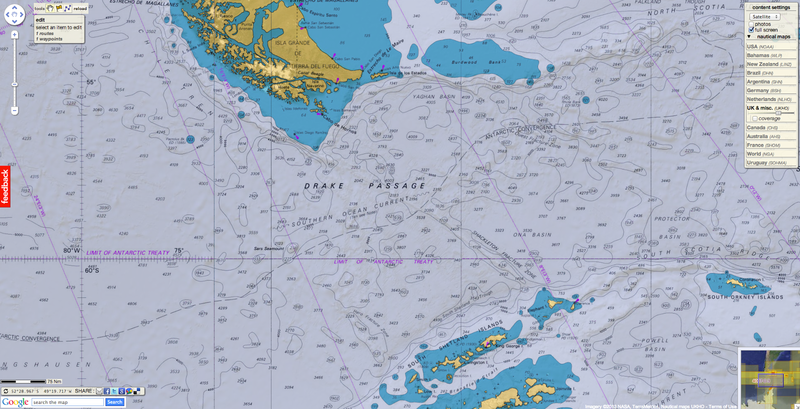 This is one of the most daunting and complex salvage operations ever undertaken. "A lot of people didn't think it could be done," said salvage master Nicholas Sloane. The ship was righted over an 18-hour operation that ended at 04:00 (02:00 GMT). A 500-strong team of divers and engineers have spent much of the past year stabilising the ship and preparing for this phase. Five people have been convicted of manslaughter over the disaster. The captain, Francesco Schettino, is currently on trial accused of manslaughter and abandoning ship. 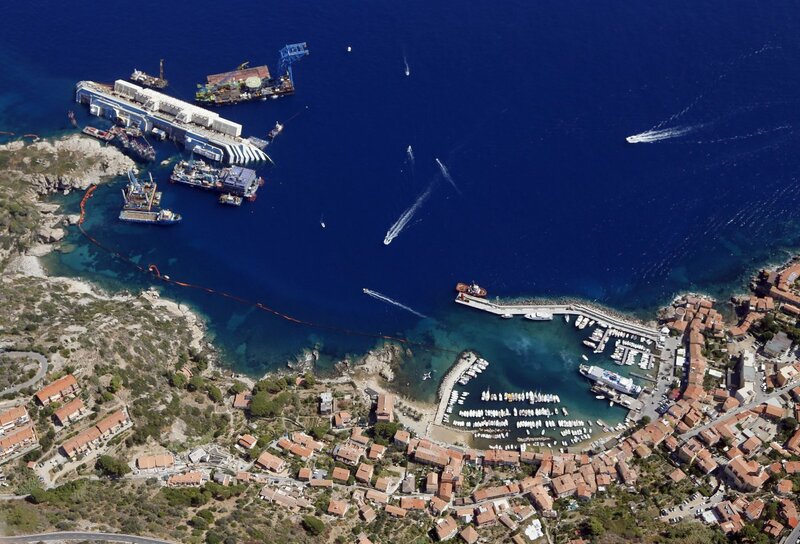 Giglio mayor Sergio Ortelli earlier said that the removal of the Costa Concordia would bring an end to "a huge problem that we have in our port and that we want to solve as soon as we can". 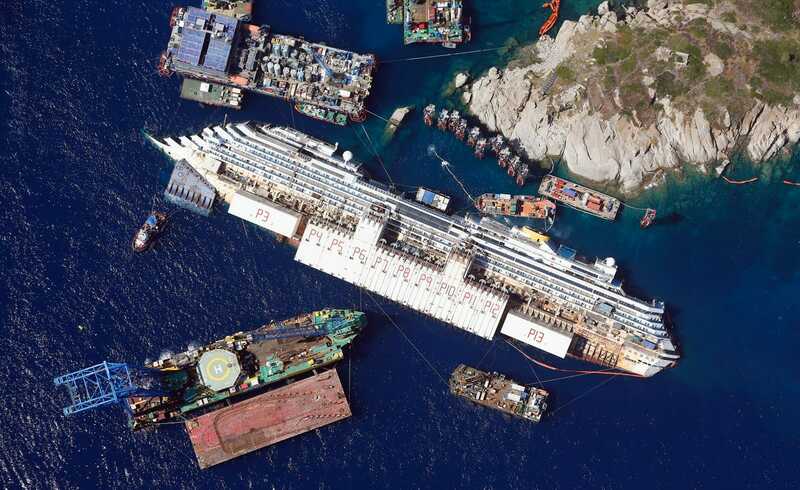 Costa Concordia salvage begins: Will it stay in one piece during righting? 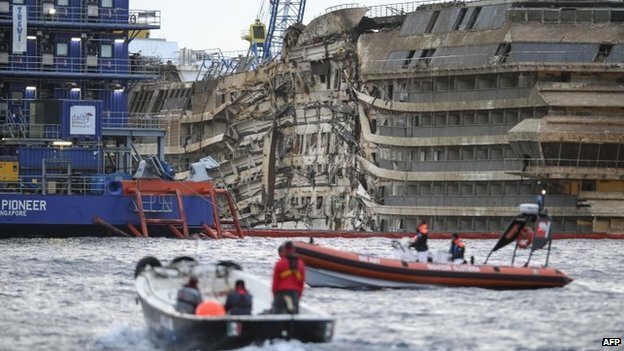 Delayed by three hours because of strong thunderstorms, the unprecedented operation of salvaging the massive Costa Concordia cruise began Monday morning off the coast of Italy, near the island of Giglio. Righting the ship could take up to two days, but engineer Sergio Girotto said he's an optimist, expecting the operation to take about 12 hours. "I don't think we will continue into the night," he said. "After we start pulling, we should see something." 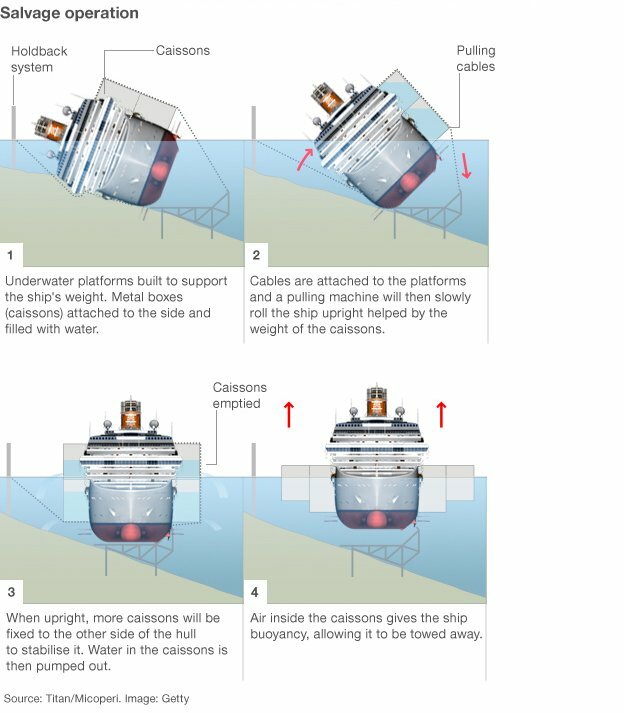 It sounds counterintuitive, but in order to salvage the Costa Concordia, crews will sink portions of it deeper underwater. The ship will then be pulled off the seabed and rotated onto giant platforms 30 meters below the water level. Areas of the ship that have been dry for months will be submerged and filled with water. It's a process known as "parbuckling," and it's become a household term in Giglio, the tiny island that was transformed when the Costa Concordia ran aground off its coast in January 2012 . A ship this large and this heavy -- weighing 114,000 tons -- has never been parbuckled before. Normally, crews would blow up the ship or take it apart on site. 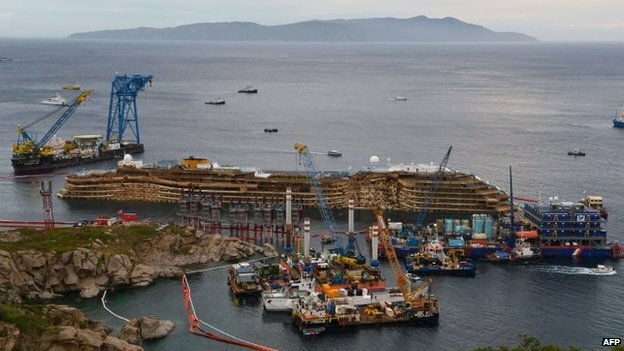 But officials say that's not an option with the Costa Concordia, because the ship is filled with toxins, and because there are two bodies still believed to be either trapped between the ship and its rocky resting place or somewhere deep in the ship's hollow hull. 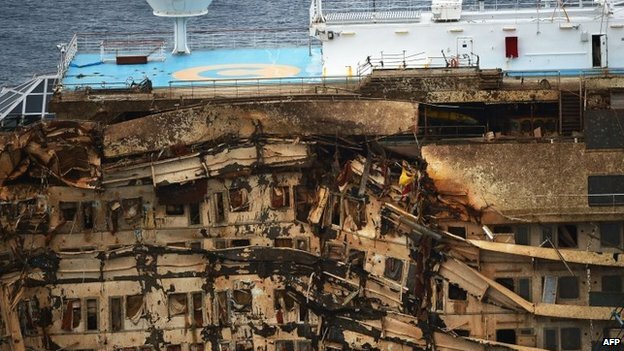 What's inside of wrecked cruise ship? The two missing victims from the cruise ship disaster are Russel Rebello of India, and Maria Grazia Trecarichi of Sicily, Italy. Rebello, 33, was a cruise waiter who was last seen helping passengers off the ship. Trecarichi was on the cruise to celebrate her 50th birthday with her 17-year-old daughter, one of thousands of people who survived the deadly shipwreck. On Monday, her daughter and husband will watch crews try to rotate the ship and, hopefully, find Trecarichi's remains. Technicians and salvage managers from all over the world will be watching closely to see what goes wrong and what works. "It will set the new standard for maritime salvage," Giovanni Ceccarelli, the project's engineering manager, told CNN. Hundreds of people and dozens of companies have collaborated on the preparations, but the parbuckling will come down to 12 people, including the salvage master and specialized technicians, who will be guiding the operation from inside a prefabricated control room set up on a tower on a barge in front of the ship. Parbuckling, or righting, the ship could be done in a day or so -- provided the weather conditions agree. So far, they seem to be, officials said on a website tracking the operation. It's a major turning point in a salvage operation that has cost the Costa Crociere company, owned by American firm Carnival Cruises, more than $600 million -- so far. Tall towers anchored onto the rocky shoreline between the ship and the island have been fitted with computer-operated pulley-like wheels. As the rotation begins, the wheels will guide thick cables and chains pulling the middle third of the ship from under its belly toward Giglio island. At the same time, more chains and cables attached to hollow boxes that have been welded onto the ship's port side will pull the ship from the top toward the open sea. After about four to six hours, the pulleys and cables will be rendered useless as gravity takes over and the ship essentially finishes the process, relying on the buoyant boxes alone to control the speed at which it rights itself. Technicians will pump compressed air into the boxes to control the water levels, which will create buoyancy to slow the ship's rotation until it eventually comes to rest on makeshift "mattresses" put in place on the steel platforms. If all goes well, the ship will lift off the rocks in one piece and not separate or break apart. If things go wrong, it could be disastrous. Has master mariner in charge of salvage met his match? The ship contains a mix of toxins that would be devastating for the environment if leaked into the water, which would happen if the ship breaks apart or sinks. According to the Costa Concordia's inventory list published in the Italian press and confirmed by Costa, thousands of liters of thick lubricants, paints, insecticides, glue and paint thinners were on board before it set sail three hours before it crashed. 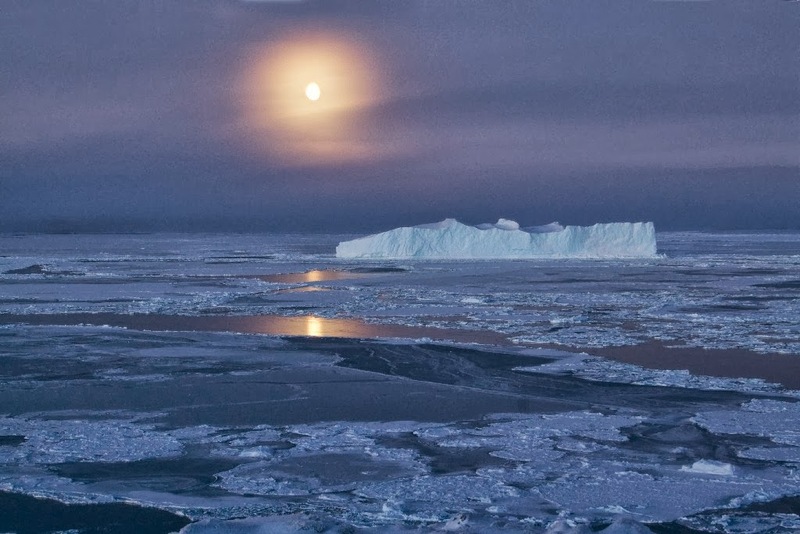 There are also 10 large tanks of oxygen and 3,929 liters of carbon dioxide. And the freezers that have not burst under the water pressure are still locked with their rotting thawed contents sealed inside, including 1,268 kilograms of chicken breasts, 8,200 kilograms of beef, 2,460 kilograms of cheese and 6,850 liters of ice cream. As the ship rotates, much more water will enter the ship than will spill out, salvage operators say. That fresh seawater will dilute some of the toxic mix, but it will all eventually have to be purified and pumped out before the ship is towed across the sea for dismantling at its final port -- a location that remains to be determined. In the meantime, the salvage operators have set up two rings of oil booms with absorbent sponges and skirts that extend into the water to catch any debris that may escape. Once the ship is upright, it will be months before the contents are removed, likely not until it reaches its final port. At that time, Costa officials say they intend to remove personal effects from the state rooms and return those to each passenger, no matter how soggy the contents might be. None of that is expected to happen before next summer. Meanwhile, captain Francesco Schettino, who misguided the ship off course, faces charges of manslaughter, causing a maritime disaster and abandoning ship with passengers still on board. His trial resumes in Grosseto on September 23. Once the ship is upright, the salvage operation changes dramatically. A tiny robotic submarine with surveillance cameras will survey the damaged side of the ship and create the models they need to plan for the next phase of operations. "It will look like a high-impact car accident when it is lifted," Nick Sloane, the salvage master, told CNN. "It won't be pretty." For days, salvage workers have been running simulations and testing their equipment. A steady hum of machinery out on the wreckage site could be heard night and day in Giglio harbor. The ship looks nothing like it did months ago, when it seemed gigantic against the tiny island. Now giant cranes, barges and generator towers dwarf the wreckage. Success or failure, no matter what happens on Monday, the Concordia will never again look the same. This is the entire series of film examples which can be found on the Admiralty YouTube channel, as one 27 minute film.